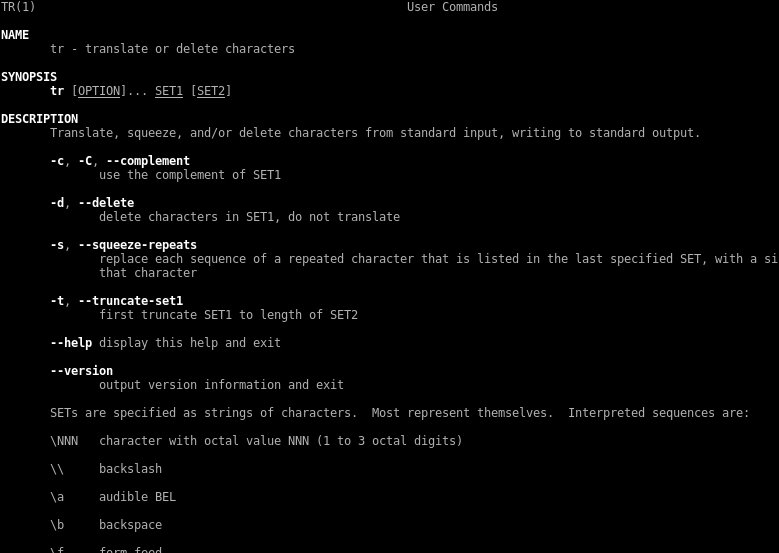 tr is mainly used to translate or delete characters in bash. 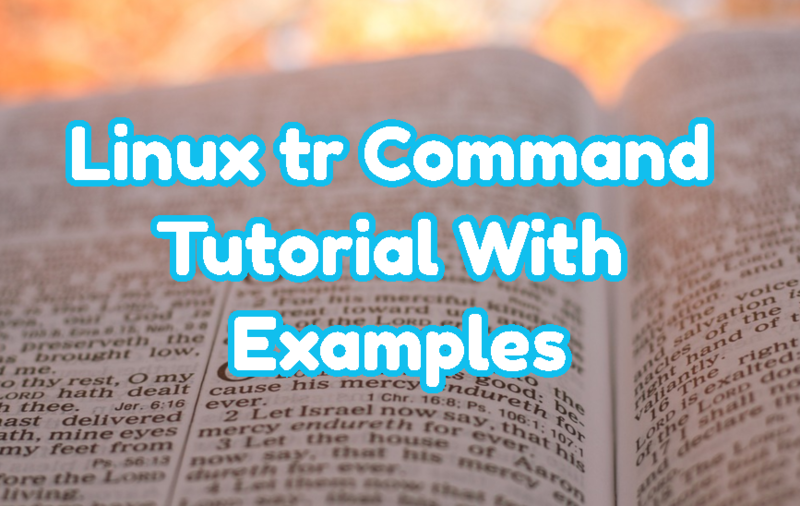 tr is not a complex but useful command. We will look various usage scenarios of tr in this tutorial. We will use following syntax for tr command. Help can be get with --help parameter like below. 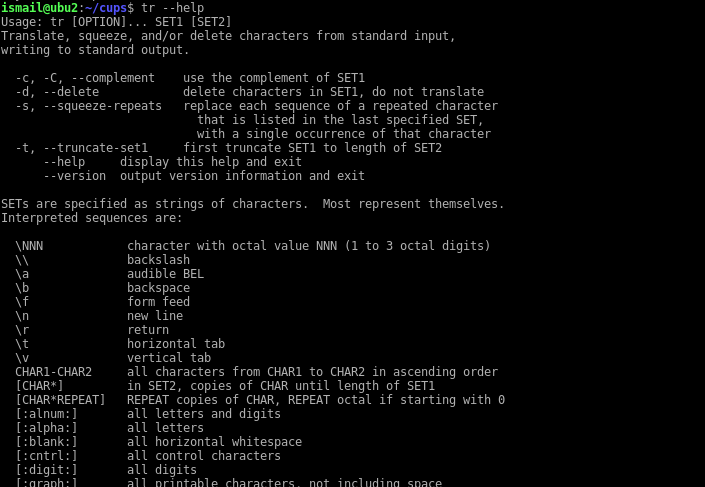 Man page of tr can be also viewed like below. One of the most popular usage of tr is converting texts from lowercase to uppercase. Reverse application of Lowercase to uppercase is uppercase to lowercase. This can be implemented with the command below. We can translate braces into parenthesis like below. This can be applied other characters too. White spaces can be expressed like below and translated to the tabs with the following command. Another useful feature is deleting specified characters from the given text. The character that will be deleted is specified with -d parameter like below. The filtering is another feature of tr. Only Specified characters can be printed like below. In this example we will only print numbers or digits with the following command. Following command will translate line endings into spaces and make the whole multi line text a single line text. All supported expressions can be found below. How To Secure Linux, Unix, Windows Servers and IT Systems?